A taxi diver from Telengana who is clearly one of the million cricket lovers has now attached a scorecard on the roof of his taxi. 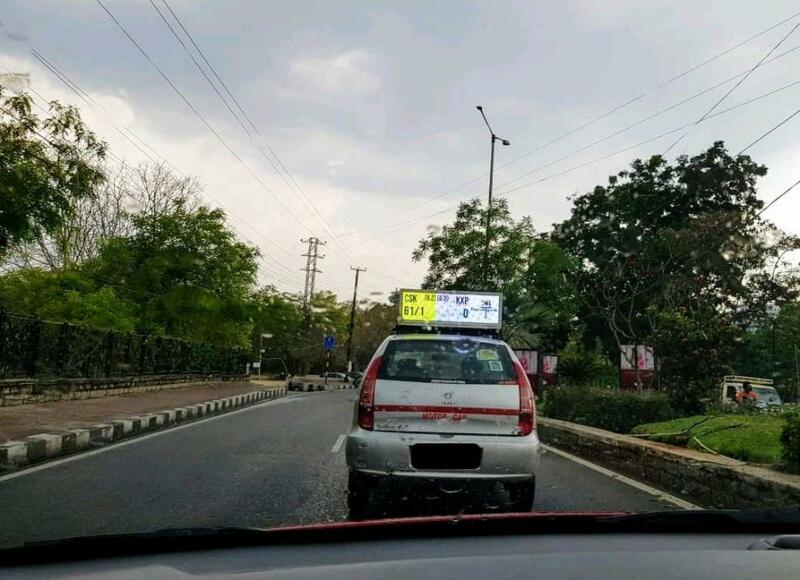 A picture was recently posted on reddit about this taxi and it went viral with hours. The picture was shared on Reddit and went so viral that even the International Cricket Council (ICC) shared it on their Twitter account. After ICC posting this picture on their official twitter handle, it obviously caught people’s attention . Check those reactions out on the link given below. As some rightly say cricket is like a religion in India and thus this man made it easy for the cricket lovers who are busy on roads or stuck in traffic. Thankfully this taxi driver will ensure that people around him check into their smartphones too often to check the scores. He is indeed appreciated by many of the cricket fans .